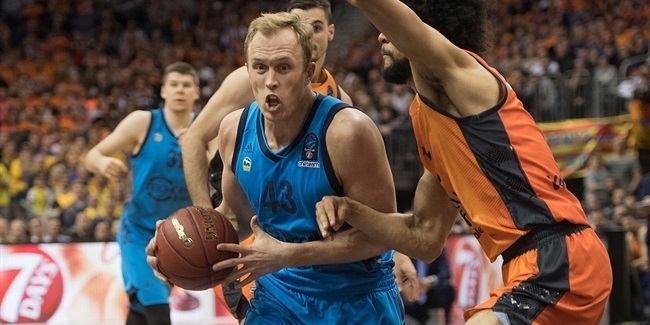 ALBA Berlin is more well known for its offense, but the German club used some hard-nosed defense to grab a road victory over AS Monaco to reach the 7DAYS EuroCup quarterfinals. ALBA came into the game as the top-scoring team left in the Top 16 at 87.6 points per game. But ALBA head coach Aito Garcia Reneses watched his team shut down Monaco in a 61-75 win for a 4-1 record atop Group E. The 61 points were the fewest the team allowed this season – 3 fewer than the 64 points Arka Gdynia scored in Round 9 of the regular season. "It's a goal that we set for ourselves at the beginning of the season, to go to the quarterfinals, and now we're here. I'm really happy, especially with the defense in this game. We came ready to play defense. We kept their main scorers at low [shooting] percentages. 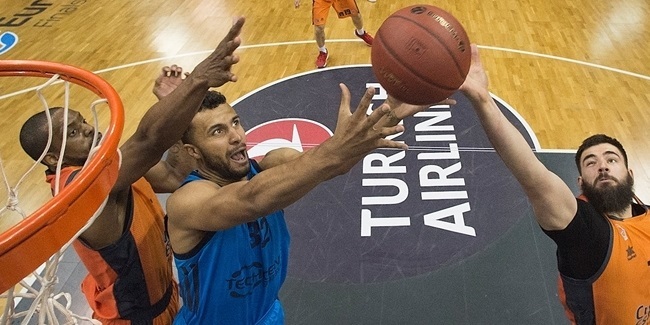 That was the key to the win,” ALBA guard Martin Hermannsson said afterward. Monaco made just 51.6% of its two-point shots and just 8 of 24 (33.3%) from three-point range. Monaco's leading scorer Elmedin Kikanovic came into the game averaging 15.4 points while Paul Lacombe had been worth 11.5 points a game – and 14.8 in the Top 16. ALBA held Kikanovic to a season-low 6 points and Lacombe had just 5 points after a pair of 20-point games earlier in the Top 16. ALBA also pressed Monaco into 19 turnovers after the team averaged 11.9 in its first 14 games of the season. ALBA's 75 points were the third-fewest it has scored this season. But both times the team scored fewer, it had lost: 75-73 at Cedevita Zagreb and 78-66 at Partizan NIS Belgrade. This time, however, ALBA used a shutdown defense to get the job done.